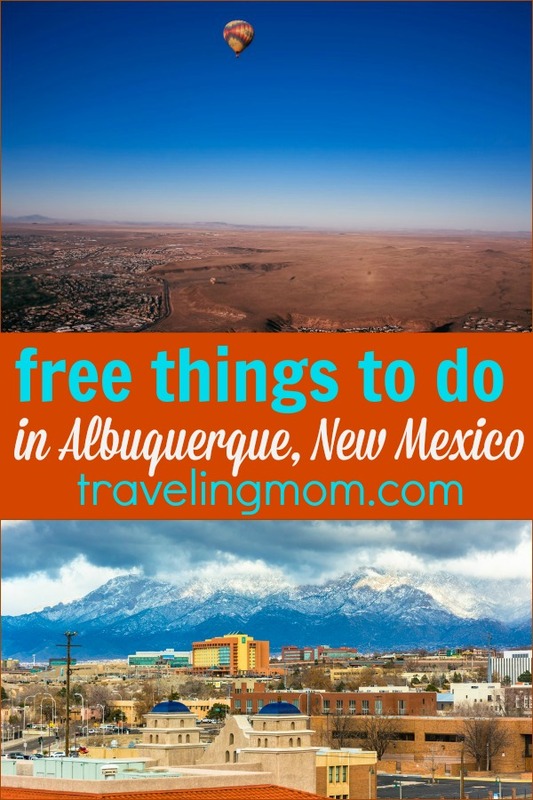 If you’re headed to Albuquerque New Mexico, check out these free (and nearly free) things to do with kids. The southwest has so many fantastic cities to explore, so if this one isn’t on your list, we recommend you write it in. 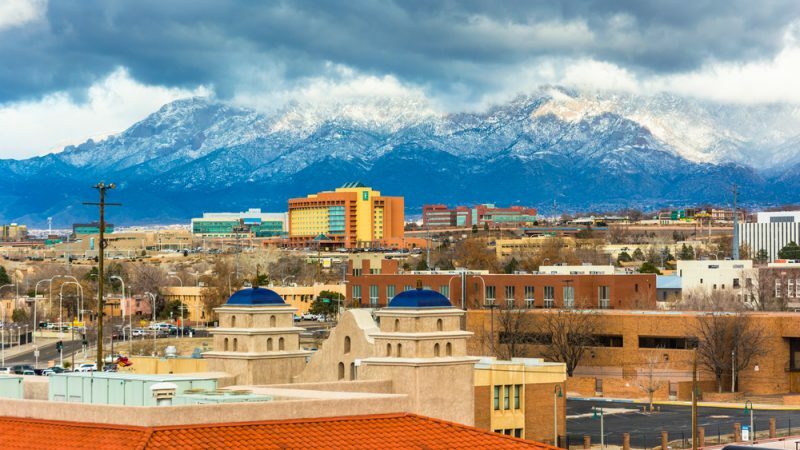 If you’re looking for a great place to spend spring break, Albuquerque just might be your perfect place. Read on for all of the details! My family and I spent two days in Albuquerque this past summer. Long story short, my kids and I drove through West Texas, Arizona and New Mexico last summer (yep, just me and two eight-year-old boys) and one of our planned stops was Albuquerque. Our plans got shifted around a little bit when my husband decided to join us for the last leg of our trip. He flew into Albuquerque to meet us (great, small airport) and we spent two days there before continuing on westward and then looping back home to San Antonio. If your family enjoys road trips, New Mexico is a wonderful place to explore by car. First, two days is not enough to fully experience Albuquerque and we’d love to go back, but one of my general rules when traveling is to research more activities than I think we’ll need when we get there. That rule has served me well and even though I’m a planner versus a let’s wing it-er, it never hurts to have more info on things to do in a particular locale in your back pocket, especially low and no cost things. Albuquerque has lots of free events, outdoor activities, and family fun. If you’re planning a trip to Albuquerque, check out the ABQ To Do page. It’s a great resource where you can learn about pop-ups special events, classes, parties, and more. Not all of these things are free but if you’re looking to mingle and do something un-touristy, definitely check this one out. The Open Space Visitor’s Center has exhibits interpreting the natural and cultural resources the Open Space Division protects. Their goal is to acquire, protect, maintain and manage significant natural landscapes and cultural resources for present and future generation. The Visitor Center and Gallery are a hub for Albuquerque’s many Open Space properties. Check out their events page to for info on the latest events. This is Albuquerque’s premiere, multi-use trail. It goes from the north to the south edges of the metro area through the Rio Grande’s cottonwood forest. Check out maps and access points here. Petroglyph National Monument, operated by the National Parks Service, offers four different hiking trails, ranging from easy to moderately strenuous. Maps and petroglyph viewing info available at the visitor’s center. While there is a small parking fee, admission to the monument is free. Check the website for more information or to plan your visit. While the admission to the Biopark and Zoo is not exclusively free, there are some substantial discounts. Kids under two are always free and there are generous discounts for children, seniors, military, and New Mexico residents. If you are a member of another zoo or aquarium, the Albuquerque Biopark and Zoo also offers reciprocal discounts. Additionally, the venue offers half-price weekend in January, April, July and October. Are you looking for more tips on how to travel for free? Here are some hacks using credit cards that can knock money off your travels. Located adjacent to the Rio Grande Bosque, Tingley Beach consists of three fishing ponds that are open to the public, free of charge. All anglers 12+ are required to have a New Mexico fishing license. Tingley Beach also offers wildlife watching as well as walking and running trails. Totally free. Check out the events page on the city’s website in advance of your visit. There are a ton of art installations around the city that are fun to look and and explore. If you’re looking for a fun, unique, and “Insta Worthy” spot for your vacation photos, check out one of these. Strolling through Historic Old Town is another slow way to experience the culture of the area. You will get a feel for what life has been like in the American southwest for hundreds of years. There are often sidewalk vendors selling handmade items to look at and the gazebo in the central square is a fun place to check out. Nearby Tiquez Park across the street from the New Mexico Museum of Natural History and Science, will offer a large playground which is a great place for the kids to burn off energy. Checking out a local playground is never a bad decision when traveling with young kids. A stop at a local farmer’s market is always a fun way to explore a city. You can talk to the locals, find out about other events in the area and stock up on snacks. Located on the University of New Mexico Campus, the Silver Family Geology Museum is a great place to get that “let’s do something educational” into your trip. Besides, if you visit Albuquerque during the summer months, afternoons will be HOT and you’ll appreciate a good indoor activity. Also located on the UNM campus, The Maxwell Museum of Anthropology also offers another way to learn about the area. They also have an on-site store. Check the website for information on specific events. Formerly known as the Albuquerque Museum of Art and History, the Albuquerque Museum offers a ton of exhibits and hands-on activities. Check the website in advance of your visit to see what’s available. General admission ranges from $3 to $6 per person. Children under four are free. The Albuquerque Museum also offers reciprocal membership, so if you’re a member of your home museum, your admission might be free. If you have an American Association of Museums card or a New Mexico Association of Museums Card, ask about free admission. Explora is a hands-on museum with “ideas you can touch.” Children under one year are free. Adult admissions are $10 and discounts are given for children, seniors, students and military. The museum is also a non-profit, so any purchases you make in the museum store are tax-free. As a mom traveling with two bouncy kids, I’m always on the watch for a park or playground. They’re free, my kids like them, and it gives me a chance to sit down and relax while my kids burn some of their endless energy. Albuquerque has dozens of public parks. Check out this list to find one near you. Are your travels taking you further west? Here are some Traveling Mom approved free things to do in West Hollywood. I love a good flea market and my kids get a kick of just walking around and seeing the sites. Our challenge is not adding to the collection of stuff we’re already carting around on our trip, but this is a fun, free activity that gets you mingling with the locals. Check out this website for hours and information. Be advised that some parking locations are not free. The Indian Pueblo Cultural Center is a great place to learn about the local culture. Kids (and adults, too!) will gain a lot of perspective by learning about the culture of the people in the place they’re visiting. Admission is free for kids under five. Regular adult admission is $8.40 with discounts offered to New Mexico residents, seniors, military, students, and kids. New Mexico is rich in natural history and most kids are going to dig a place that’s focused on dinosaurs. Something about kids and dinos just go together, right? Check the museum’s website in advance of your visit for information on special events – there are lots of things going on here. Children under three are free. There are also designated free days for New Mexico residents – check the website. The basic price for museum admission runs from $5-$8. Admission into the planetarium and Dynatheater are extra but there’s generous pricing on the combo pass. This one is not free but I had to include it because…well, because it’s a Rattlesnake Museum and how could you pass that one up? Maybe you have no problem passing up the opportunity to experience the Rattlesnake Museum, but if you’re so inclined, pricing runs from $4-$6. More information can be found on their website, which I didn’t find particularly user friendly or easy to look at, but admission inf can be found at the bottom of their home page. If your visit to New Mexico Includes other cities besides Albuquerque, you might want to check out the New Mexico CulturePass. The CulturePass runs about $30 per person and is good for admission at 15 different museums and cultural sites across the state. You have one year to use the pass and your clock starts ticking as soon as you use it for the first admission. 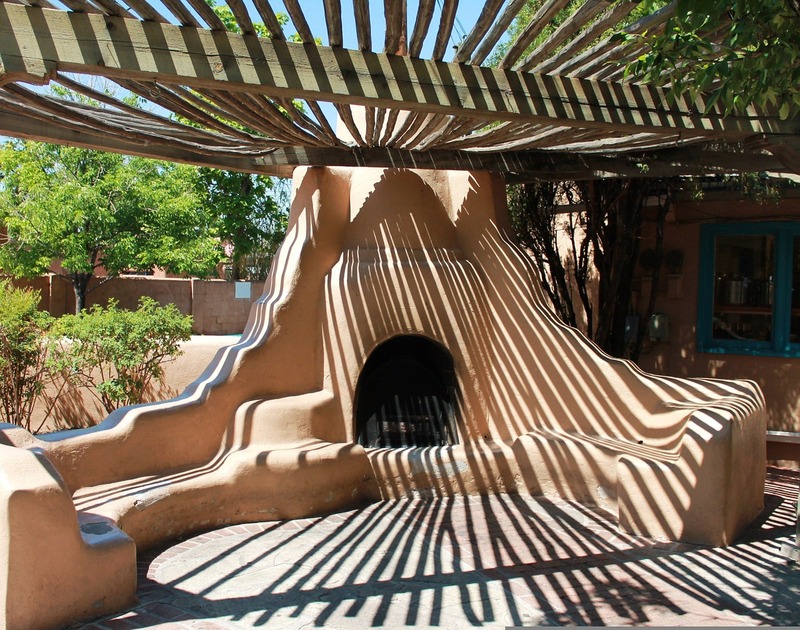 There are also some awesome museums in nearby Santa Fe. If you plan on visiting Santa Fe as well, the New Mexico CulturePass is definitely worth your money. To save more money on your visit, check out the Visit Albuquerque website before you go. They have an entire page dedicated to downloadable coupons and discounts. You can also check out Groupon and set Albuquerque New Mexico (or wherever you happen to be going) as your location. I’m a big fan of Groupon and I never book activities for my family without checking here first. 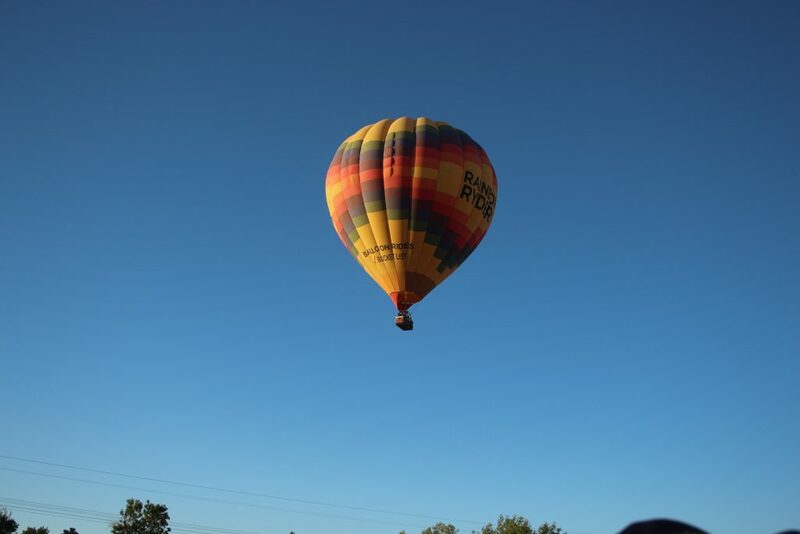 One of the big things people do in Albuquerque New Mexico is hot air balloon experiences, which are definitely not free. We went up last summer on a sunrise ride with Rainbow Ryders and I highly recommend them as a splurge. If you take advantage of all the free and reduced price things to do in Albuquerque then you might be able to find some room in your budget for this. 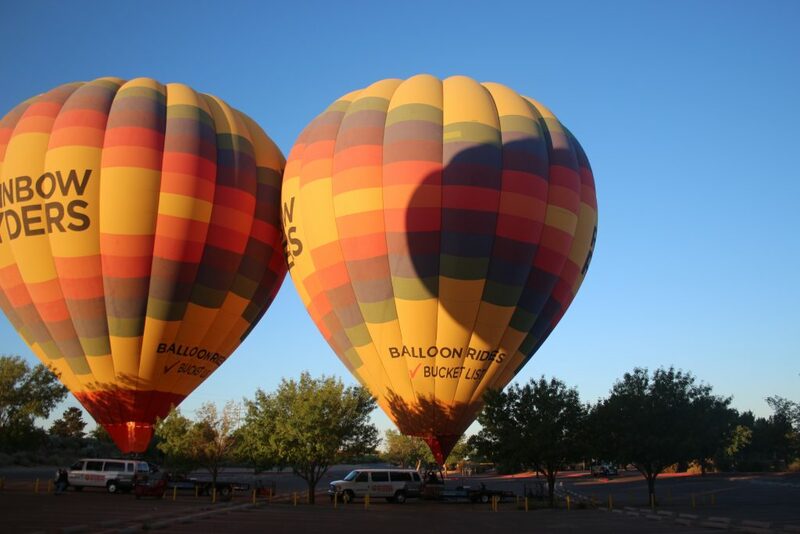 Even if you don’t do the hot air balloon ride, you can check out the Anderson-Abruzzo Albuquerque International balloon museum. Psst: Rainbow Ryders is currently on Groupon. I also recommend calling to see if they can offer other discounts or specials. The entire experience was worth it. Hopefully, this gives you an idea of what to expect when traveling to or through Albuquerque New Mexico. We’re in the process of planning what road trips we’ll be doing for the remainder of 2019 and Albuquerque is one place we’d like to revisit.